I am one of those few lucky people who get to do what they love every single day. 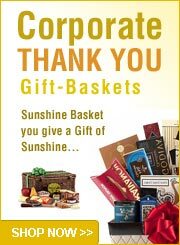 I love my job – making people happy has always been one of my favorite things to do, and with Sunshine Baskets, I get to do it for a living. I love what I do and always look for new and exciting items to add to my baskets. 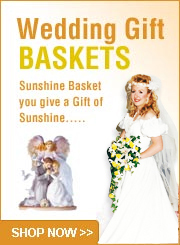 Sunshine Baskets has been a labor of love for me since I started this business in 2002. Hopefully, I can share some of that with you. We are a family-run business and helping you find the perfect gift is the best part of our day. Feel free to order any of the pre-arranged baskets or florals from our website. If none of the baskets we have suit your taste – or if you just want something extra-special for your loved ones – we also cater to special requests. Send a pre-existing basket with the addition of a beautiful bottle of wine or champagne, add flowers or candy, or simply customize a basket to create an entirely personalized gift. We look forward to helping you give the perfect present. We are based in beautiful Las Vegas and we serve all 50 states. Along with our beautifully designed gift baskets, we also provide you with fresh flower arrangements. Please note that fresh flower arrangements are only hand delivered by our staff in Las Vegas and North Las Vegas. We do not ship flowers out of state. We guarantee freshness of product and courteous service. Same day delivery is available Monday through Friday when ordered before 12 noon. Delivery on Saturday and Sunday is also available. Please inquire about this service. We are closed on the following Holidays; New Years Day, Mother’s Day, Independence Day (4th of July), Labor Day, Memorial Day, ThanksGiving Day, Christmas Day. Please place your orders a few days before any holiday. Although we do accept last minute rush orders but they might incur an additional charge if we are swamped with orders. Please inquire when placing a last minute order. When placing your orders online, please be sure to include the recipients phone number and gate code if they live in a gated community. Orders received without the phone number may be delayed as we would have to contact you to obtain this information. So please double check your orders before sending. We shop, wrap and deliver gifts locally right here in Las Vegas. Allow us to take the stress out of gift-giving by delivering the gift right to your door. We deliver to all hotels, casinos, businesses, hospitals and some residences in Las Vegas and North Las Vegas. Delivery is available 5 days a week throughout the year. Saturday and Sunday delivery is also available. Please inquire about this service. We try to make each basket special for you. Our personal shopping service allows us to create a truly unique gift basket that is tailored to meet your budget. Each order is customized to meet your specifications and therefore cannot be canceled. Should you need to cancel an order after we have purchased the items and/or designed your gift baskets, you will be billed 70% of the total amount of the order. We are here to help you and strive to make your shopping experience a pleasant one. If any questions arise as you browse our site, you can call us at 866-621-1293 or 702-656-7783. Any one of our staff members will be happy to assist you. We like to think that we don’t just deal in gift baskets – we spread joy. And we would love to spread some joy to you and your loved ones. Feel free to give us a call if you have any questions – or even if you just want to chat. We look forward to hearing from you. Let us send a little sunshine from our family to yours. All designs are original with copyright. Copying designs or any part of this website is strictly prohibited. Customer service is a number one priority at our company. We take pride in selecting top quality merchandise and we want you to be happy. If there are any problems with the products in your gift basket, you need to report it to us within 24 hours for local delivery and within 2 days ( 48 hours) of receipt if merchandise was shipped to you. Claims after the 2 day time frame will be seriously questioned as to legitimacy. After review of the circumstances, we will correct the problem immediately with a replacement of a product and may request return of the piece we are replacing. All sales are final and we do not accept returned gift baskets, games or porcelain gifts as payment. Ceramics, dolls and games may only be returned for manufacturing defect and will be exchanged but we do not accept returns for these items. Quality of product and design is guaranteed. Our designs are custom and exclusive designs created for you at the time your order is placed. Please visit out testimonials page to see what our customers have to say about us. We invite you to rate our gift baskets on the category pages. Just select the basket and let others know how pleased you are with our service and products. We accept Visa/MasterCard, American Express cards, Company check for our corporate acounts or cash. Payment in full is due at the time your order is placed. For your protection, please do not mail cash under any circumstances, and never put your credit card information in an email message. For security purposes, do not put your credit card information in an e-mail message. Use our secure online ordering system or telephone us with the card number. All information is kept confidential and never shared with other companies. For additional security, we do not store your credit card information. Your ordering information including addresses, telephone and account numbers are kept confidential. We do not share this information with any sources for any reason. We are a privately held company and respect and protect our clients files. For ease of reordering, we do maintain a record of your purchases with names and address of gift recipients. This makes it easier for you to reorder with us and saves you time of looking up address of friends, family and clients. For your privacy, we do not store any credit card information. We hand deliver to private homes locally in Las Vegas and North Las Vegas up to 20 miles away. Gift basket orders for residence delivery over 20 miles will be shipped Fed-Ex. Most of the time it is a 2 day delivery. Same day local delivery is not available for gift basket and flower orders on Holidays such as Christmas, News Years Day, Thanksgiving, Mother’s Day, Father’s Day, Valentine’s Day due to heavy ordering. Please place your order 3 to 5 days ahead of time for these very busy holidays. For delivery scheduling, it is necessary for us to have the telephone number of the person(s) we are delivering to. Please provide us with that number when placing your gift basket or flower order. So please re-check your order before sending it to us. Our delivery fees range from $13.00 to $ 30.00 depending on distance. Fed-Ex charges by package size and weight. Many deliveries are in the $13.00 zone. Please be advised that we are required to charge and pay sales/use tax for goods and services delivered in the state of Nevada. Deliveries shipped out of the state of Nevada are not charged sales tax. This sales tax is paid to Clark County. We hand deliver to all Vegas Hotels/Casinos on a regular basis. The delivery fee is $17.00. Our fee of $17.00 is delivery to the hotel. Multiple baskets to one hotel may incur a higher or lower delivery fee for convention orders. Please discuss this with us when placing your order. Due to hotel security we are not allowed to personally deliver baskets to the guests rooms and we are required to leave the package at the bell desk. These rules are not ours, but the casinos rules. Corporate customers are asked to follow up with the hotel bell desk on orders of more than 5 baskets if there are any questions concerning delivery of multiple baskets. It is important to know that the hotel/casino leaves a voice message for the guest that there is a gift for them. The guest must telephone the bell desk to arrange for delivery of the basket to their room. In most cases, the hotel is not permitted to enter the guests room without their permission, and they are not allowed to disturb the guest when the ” Do Not Disturb Sign” is placed on their door. The guest is responsible for replying to the phone messages left by the hotel so that delivery to the room can be made. The guest also has the option of picking up the gift from the bell desk. We do not have control over the hotel delivery systems, so it is important for the guest to communicate with their hotel. Many times we will ask you for a mobile number for the guest so we can follow up with them to insure their gift basket was delivered by the hotel in a timely manner. This is an added service we provide to assure your basket is handled correctly. It is our goal to give you the best customer service we can. Does your gift need to be shipped out of state? No problem. We have many out of state customers and we ship via Fed-Ex ground or air and USPS Priority Mail, whichever service fits your needs and your budget. 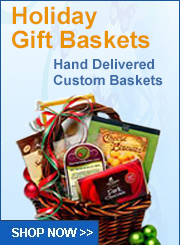 Your gift basket order is carefully packed and shipped to arrive when you need it there. Most orders are shipped same day when ordered before 12 noon, Monday through Friday unless a future date is requested. Please be advised that Fed-Ex may not deliver to a residence on Mondays, so an extra day in delivery may occur. We are pleased to provide this service to you and the rate will be determined by the actual weight and size of the package according to destination location. Most ground shipments by common carrier are $13-$26 dollars. We charge you what the carrier charges us plus a $$6.95 packing/handling charge applies for the cost of the freight. So you will be charged for actual shipping plus $6.95. No other fees are added. You pay actual postage costs as quote from the carrier plus our $6.95 handling fee. We are happy to obtain rates from USPS, Fed-Ex for Next Day Air or 2 day air delivery service. Just let us know when you place your order. We will obtain a quote for air freight so your package arrives on time. The prices shown on our drop down menu are not accurate and are placed there as an option for your delivery preference only. The average air freight shipping prices generally range between $50.00 and $145.00 depending on size, weight and destination of the package. Common carriers charge by the weight and the size of the package, so the larger the basket, the higher the air freight shipping fee would be. We would telephone you with an exact amount of the air freight unless you give us approval when placing the order. We realize that you have a busy schedule and will try to accomodate same day delivery even after the requested ordering time. So many times, we can deliver your gift basket or flowers same day even after 12 noon. But every day here is different. Please give us a call to see if it is possible to do same day delivery after 12 noon. Rush orders may incur an additional charge if you request same day delivery and place your order after 12:00 p.m. and need delivery that day. Holidays are the exception. We cannot promise same day delivery on orders placed on a Holiday. This would be determined by the delivery schedule already in place. If filling your order does not upset delivery schedule already in place, there will be no additional charges added. If you need same day delivery and order after 12:00 p.m. we certainly will accomodate your request but be aware of the extra charge. Our normal rush order fee is an additional $35.00 which will be added to the standard delivery cost. Ever since I can remember, and long before it became popular we have recycled glass, plastic and paper products. We are proud to do our part in keeping our country safe and free of pesticides and contaminents in any way we can. For the past 5 years our local deliveries are made in our hybrid vehicle which reduces the emisions put into the atmosphere. We recycle water used for keeping the flowers fresh to the outside plants. Many of our containers are made of natural fabrics to insure their ability to recycle. Our filler material used in the baskets including tissue is made of recycled materials. We have several organic food items available and always looking for new tasty items to add to our gourmet line.